My parents are creatures of habit. So each and every year for my mom's birthday my dad would pick up a mud pie from Baskin-Robbins. And in case you don't know the joy and magnificence that is the BR mud pie, then please allow me to list the ingredients for your pleasure: buttery graham cracker crust, mocha almond fudge ice cream* center, chocolate fudge frosting, and whipped cream with sliced almonds on top. *Actually the real name is jamoca instead of mocha but I wanted to simplify things for this post. And what's a jamoca anyway? I'm guessing it's BR's made up word combo for java + mocha since the ice cream is coffee flavored with chocolate fudge swirls. 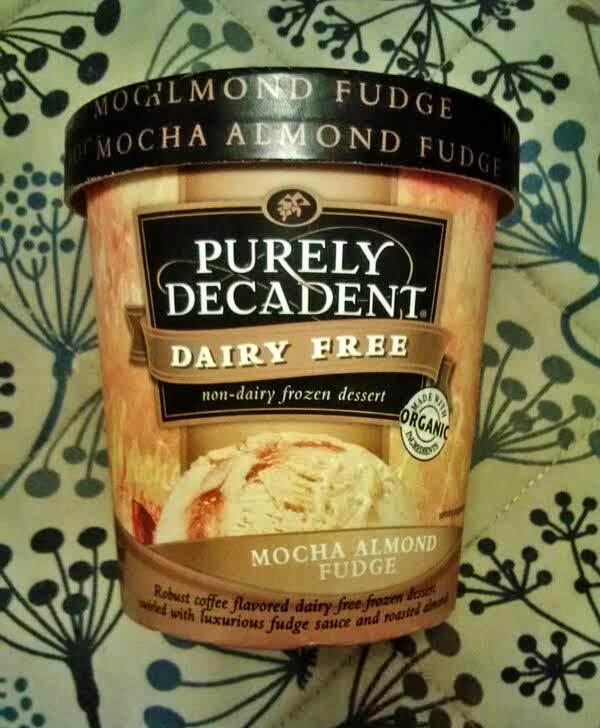 But who cares about the name, let's just agree that it's delicious. Anyway, my mom would get her delicious birthday pie, share 3 measly pieces with my dad, sister, and me, and then hoard the remaining 75% for herself...every...single...year. I'd beg for an extra sliver here and there and sometimes my wish would be granted but usually not, afterall it was my mom's special birthday pie that she only got once a year. As a child I never had the foresight to ask for a mud pie for my birthday but in my wise teen years I made sure to order the mocha almond fudge ice cream whenever Baskin-Robbins was in my sight. Now, fast forward to modern times where Baskin-Robbins is hard to come by, where BR doesn't even mention mud pie in their online ice cream pie assortment, and where I've become lactose intolerant in my twenties. Life is hard, folks. Yum, nothing like a mocha almond fudge dairy free frozen treat to brighten up the day. Wouldn't you agree?